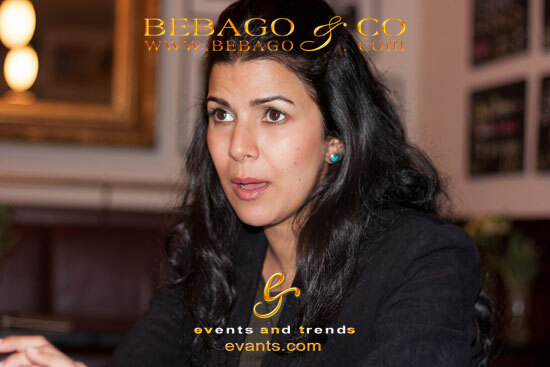 Im Rahmen der Promotour zum Kinorelease von "The Lunchbox" traf Events & Trends Regisseur und Hauptdarstellerin Ritesh Batra & Nimrat Kaur zu einem Interview. Beide nahmen sich die Zeit etwas über den Film im Einklang mit dem indischen Weltbild der Frau, sowie die Zusammenarbeit mit dem internationalen Bollywoodexport Irfan Khan zu erzählen. E&T: “The Lunchbox” is an Indian-French-German coproduction. Is it still an “Indian movie” and what parts of the movie making happened here in Germany? Ritesh Batra: In the first place, we created this movie to tell an Indian story to the world, but it was great to do this with French and German people as well. I met the German coproducer Karsten Stöter in Rome and I shared the script with him, we started planning right away. It was really interesting, because it is also a French coproduction, so a little bit came from everywhere. We actually did the sound for the film in Berlin, also the sound-design and the composing happened there. It was a great opportunity for us to get a lot of influences from inspiring people from three different countries. E&T: How did you first come up with the idea of using the main element of a lunch box in your movie? Ritesh Batra: In 2007, I was trying to make a documentary about the delivery of these lunch boxes and I had the chance to follow the delivery men for a few days – no cameras, no notebooks. During that process I became friends with them and they started to tell me those little stories about the housewives they picked up the lunch boxes from. I became really interested in those stories and so I decided to quit the documentary and started to work on the script. A really nice detail in the movie is that some of the delivery men I’ve met can now be seen in the movie and one of them actually got a speaking part. E&T: Was it really important for you to state the great importance of the food culture in India in your movie? Ritesh Batra: Yes, of course. All of our memories are related to food. We have different kinds of food for different times of the year and for different festivals as well. It is important in the day to day life of our families and therefore the relationship between husband and wife. E&T: Do you think that the role of women in the Indian middle class is changing? Ritesh Batra: Like everything else in India, also the role of women is also changing. The movie is also about this conflict we have in India right now, between traditions and modern day life and how people are trying to live as an individual. But the important thing is, that old traditions doesn’t fade, they’re persisting and the old and the new are trying to find their coexistence in Indian culture. E&T: How was it for you to work with Irrfan Khan? 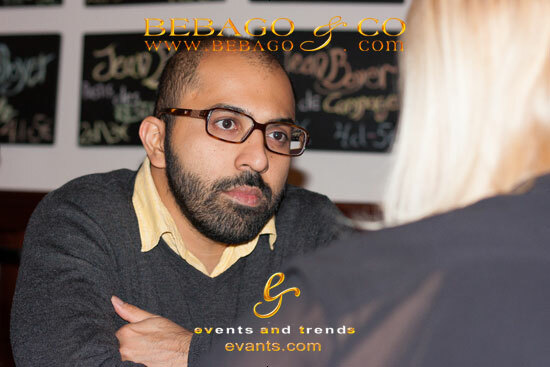 Ritesh Batra: He is a lovely human being. He read the script and he came on board pretty instantly. He is also really generous. He just gives himself away to the director and film completely. He completely fully trusted me, it was a real pleasure. E&T: What convinced you to take the role? Nimrat Kaur: It really was the story that just drew me in. I read the script like a book and I loved the story which was set in such basic everyday life, but it is such a lovely and strong love story. E&T: Do you think that the role of women in the Indian middle class is changing a lot these days? Nimrat Kaur: Oh yes, just like our country, also the women are becoming more modern and financially independent which is a very progressive sign. They no longer get married to a man of whom they need money to survive. They are getting more interested in self-sufficiency. If things don’t go well, you know, later in life, they are not tied to a man. This is a very real and important change in Indian society with women. E&T: How can this be seen in the movie? Nimrat Kaur: It is more something in the backdrop maybe, but it is a very progressive thought for a middle class woman to break away from a conventional mindset and actually leave the life behind that she may be expected to resign to. But she moves on from this into a life that she knows nothing about. This is a bigger gamble than anything, especially when you have a child and responsibilities. But I think this aspect of the movie is very hopeful and optimistic. The idea that if you want to make a change, everything is possible. E&T: Do you think that the movie is an encouragement for women? 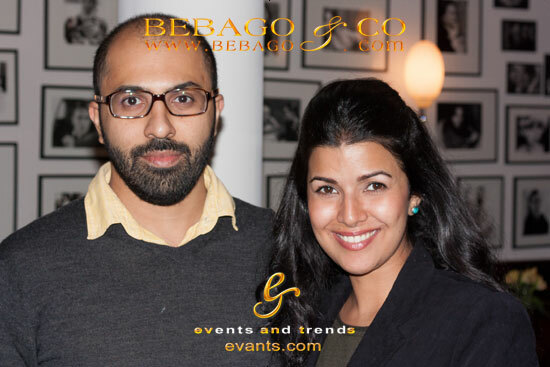 Nimrat Kaur: I think it is an encouragement for what you should not compromise about. And it encourages you to trust your instincts and going with what you really want in life. E&T: How did you prepare yourself for the role? Where there things you had to learn? Nimrat Kaur: No not really. I’ve been cooking for friends and myself a lot. So it wasn’t really a problem in terms of how would I get into the role of a housewife. Even though my life is anything but that, it is a very different open, modern life that I’m leading. But I’ve grown up in a simple middle class household and I’ve seen women around me not necessarily going through the same circumstances but I know the texture of a middle class Indian housewife’s life. So I wasn’t worried about the reality of the situation, I knew the fabric that it is made of already. But what I think what I needed to do was to simplify me, physically, to make myself look as real as a loveless, neglected housewife. I had to grow my eyebrows out for 3 or 4 months. I also put some henna on my nails to discolor it a bit. I thought this would be an interesting detail in the very close shots. Also, there was no hair- or make-up stylists on set. And mentally, I just tried to stay more silent for some months, there was not much socializing and going out with friends. I cut off from social media like Facebook, text messaging and my phone. I made my life much simpler and I think it worked for myself just to create this certain atmosphere around me. I loved it. Nimrat Kaur: For me it is more about, “how is it for me to travel with Irrfan Khan now?”. It is great that we get to travel together, he is a lovely guy with a great sense of humor. He is one of the most sophisticated actors that I know across the world. I unfortunately didn’t have the opportunity to be on screen with him that much but I’ve grown up watching his movies and he inspired me and millions.